What a boring world it would be with out color! Using a great color pallet can enhance the creativity of your workforce, and give new life to your business transactions. Especially in marketing, design & media firms or technology driven businesses, a punch of color in the right places can reinforce your companies appeal as a place that is energetic & fresh. You can pick one or two accent walls for a pop of color and then go neutral on the rest. Consider a standard wood finish like Black or Light Cherry for the receptionist desk & end/coffee tables and then add your zing of color to the seating & artwork. Another way to do effective branding is by coordinating with a prominently displayed company logo. You can tie the colors of the logo into an accent wall & then bring it out with some accessories. One client recently used their company’s yellow & black corporate colors to their advantage in their reception area with a black & glass desk and yellow lounge seating with coordinating black accent tables. For a fresh look, another client, who was a media firm used white modern lounge furniture with silver accents to add pop to their aqua accent walls. Add a few throw pillows & some modern art and you have a pulled together look that is unique and interesting. Consider selecting neutral walls, and then going with dark wood for the conference table & buffet or bookcases. Add a fun print on the chairs. Tie in the colors of the chairs with accessories on the bookcases and an arrangement of vases or flowers on the table. Or how about doing the room in a color, and add a 2nd coordinating color on the chairs for extra pep? Many workstations have a wide variety of finish options. What about ordering the desks in a color, and then going neutral in Black or Tan for the seating and Black & White prints for the walls? Or if you prefer to keep the furniture a standard finish such as an Espresso (which is really hot right now), then add a punch of color with lime green or another color on the chairs & a patterned green tack board, and then frame art that ties in a few accent colors such as orange or aqua? For traditional furnishings, try pairing chairs that have a streamlined design with old world styles for a look that is old meets new. Update the boring burgundy with tans and chocolates, and then add a rich red or deep purple for depth. 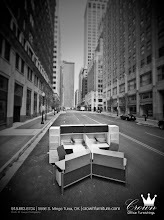 Who says your office has to be boring? 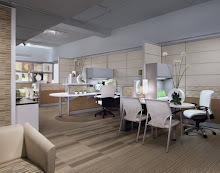 Take a look at some office furniture design concepts to get ideas on how to improve your space. 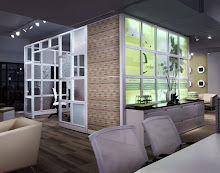 It will not only brighten the mood around your company, but it will show good design & great taste as well. Good points about how color can make the difference in the mood of your company. The plum and currant colors are very cheerful. Mango is a little more adventurous as a choice, but it can work in the right setting. I think it looks best paired with white furnishings for an overall lightn feel. I do agree that colors play a great role in making any opinion about someone. They show your nature and personality. 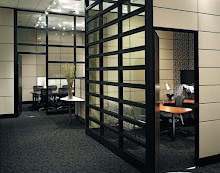 Really nice article about using colors in your office furniture.....Thanks!